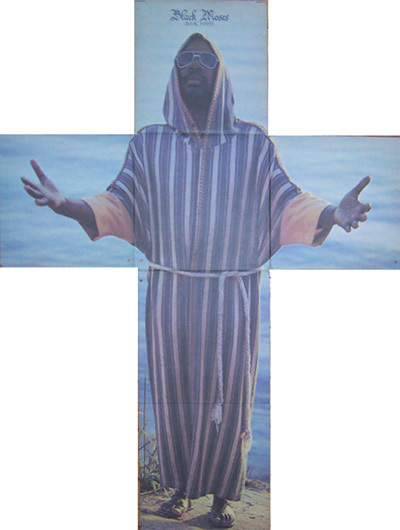 Black Moses is the fifth studio album by American soul musician Isaac Hayes. It is a double album released on Stax Records’ Enterprise label in 1971. The follow-up to Hayes’ successful soundtrack for Shaft (also a double album), Black Moses features Hayes’ version of The Jackson 5’s hit single “Never Can Say Goodbye”. Hayes’ version became a hit in its own right, peaking at number 22 on the Billboard Hot 100. Larry Shaw, head of marketing and publicity at Stax, came up with the idea to name Hayes’ LP Black Moses. 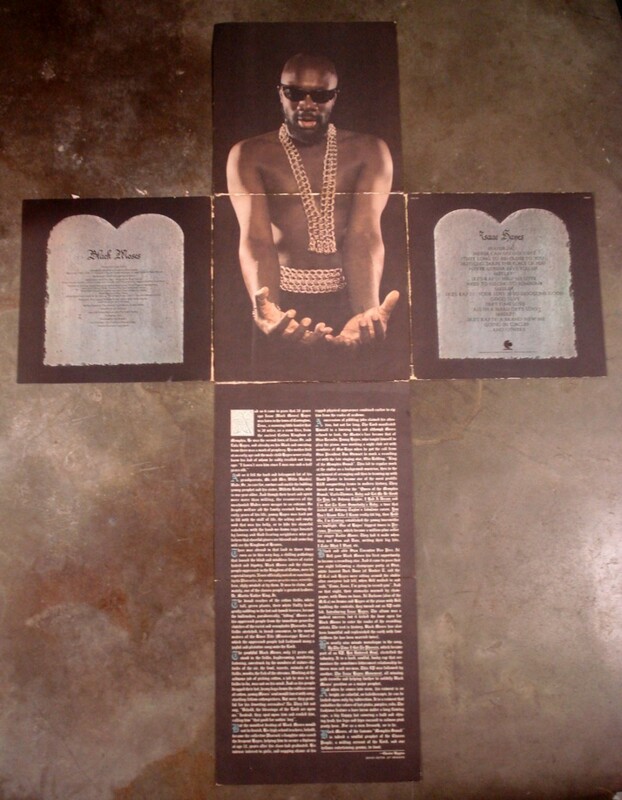 He also devised, with the assistance of Bar-Kays member Ron Gordon, a gatefold album cover design which unfolded into a poster-sized image of Hayes, dressed in biblical-inspired attire as “Black Moses”.